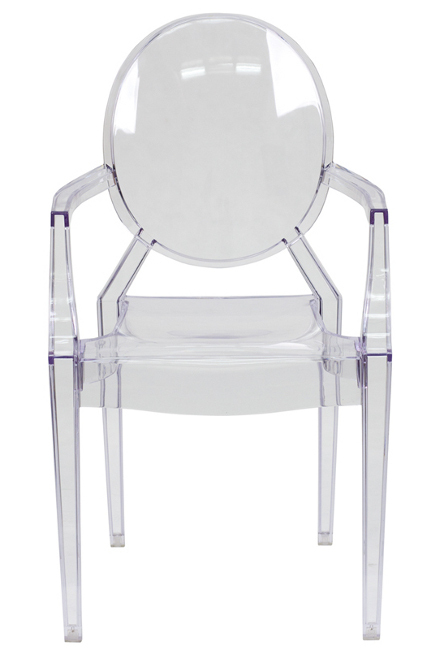 This Louis style ghost chair features a crystal clear transparent finish. It will stack up to 7 chairs while not in use. Use it for your indoor or outdoor events. Designed for commercial applications.